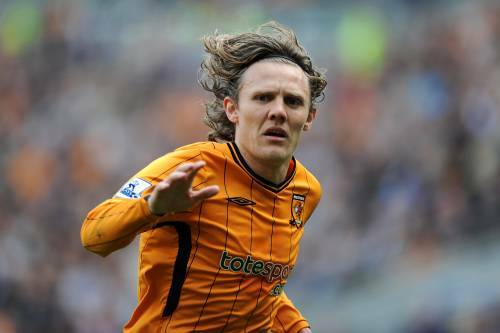 Hull City midfielder Jimmy Bullard‘s proposed move to Celtic looks to have fallen through, according to the club’s chairman (or ‘head of football operations’ to give him his official title) Adam Pearson. “The deal is off as far as we are concerned, because of absolutely ridiculous financial demands being made by the player. We have bent over backwards to try to make this happen and a month ago there was an agreement with Celtic in place over a one-year loan. “Hull City were prepared to subsidise a year in Glasgow for Bullard. Let’s just say we would have made a significant contribution to the overall wage package. But unless he has a dramatic change of heart overnight, we expect him back here rather than being in the United States [on a pre-season tour] with Celtic. The news come as a sizeable blow to the Tiger’s, who are desperate to alleviate Bullard’s considerable wages from their outgoings since being relegated to the Championship.